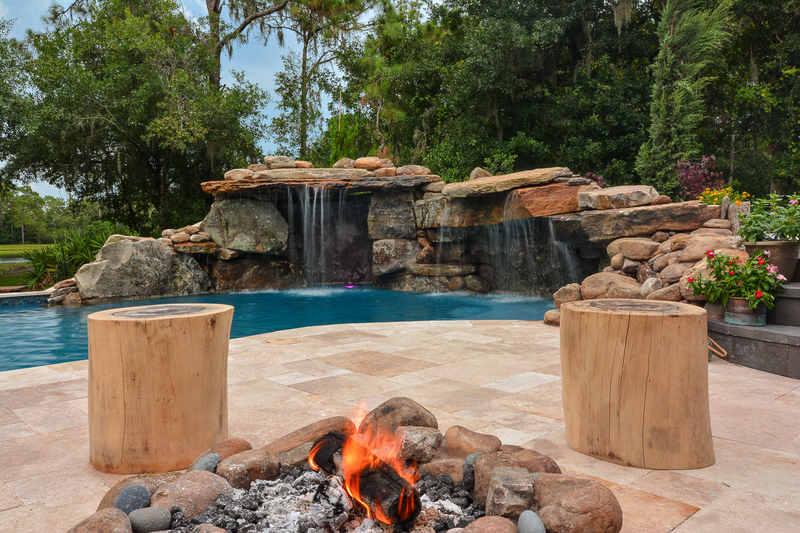 Mountains in Florida?! 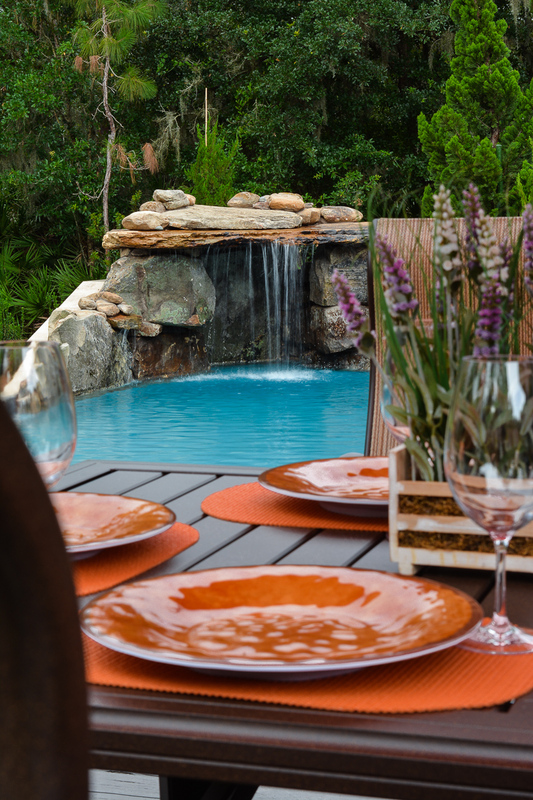 More specifically, the clients requested a Colorado feel for their new outdoor living space, aptly name Martin’s Rockies for Episode 3 of Insane Pools. 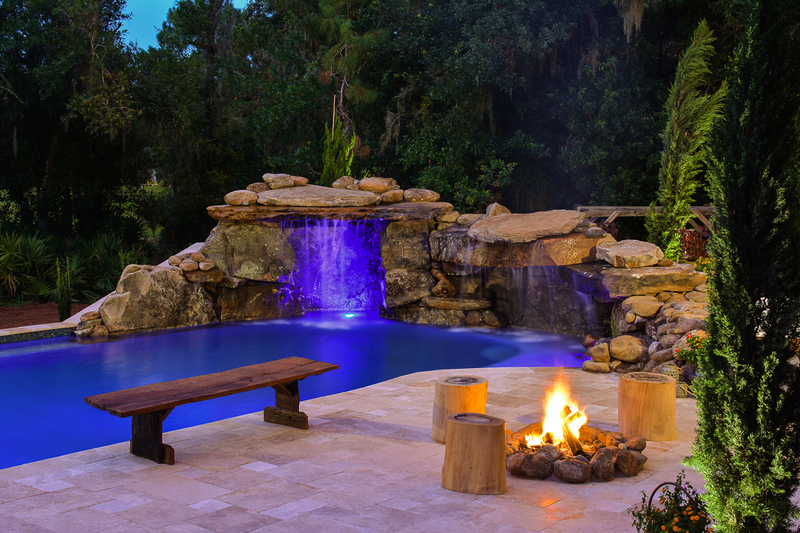 In addition, the clients required a multi-level deck without handrails, a fire pit for an authentic family time and space for a hot tub. 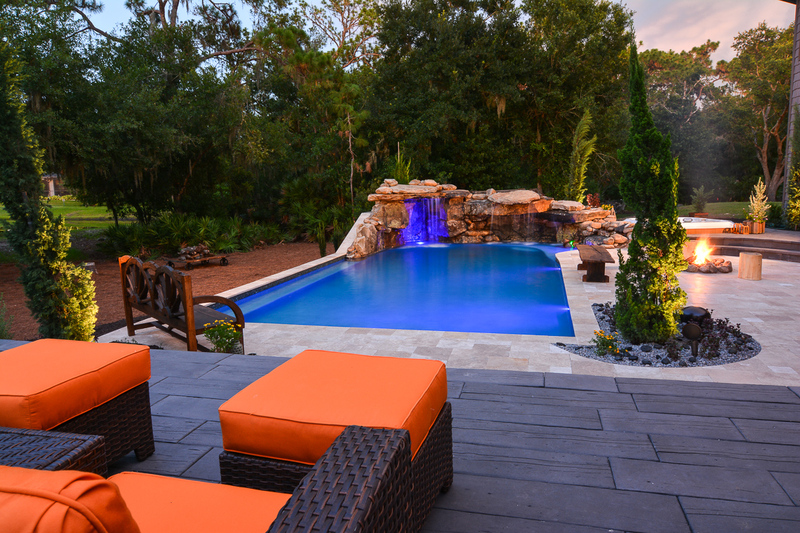 With an existing pond on the property, Lucas incorporated the view into the pool design, keeping with the outdoor camping theme. 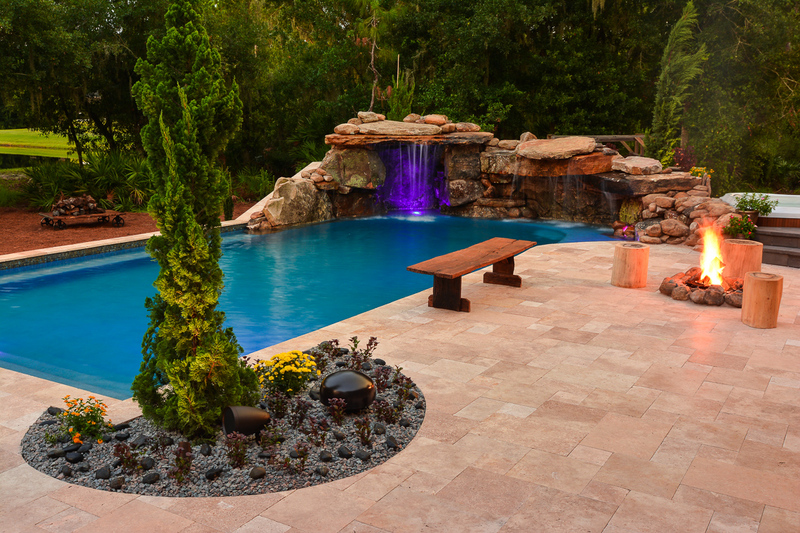 The grotto in the pool took 48 ton of Northern Tennessee Fieldstone, along with another 24 ton to complete the Colorado style landscaping, finished off with Cypress and Junipers to match the look. 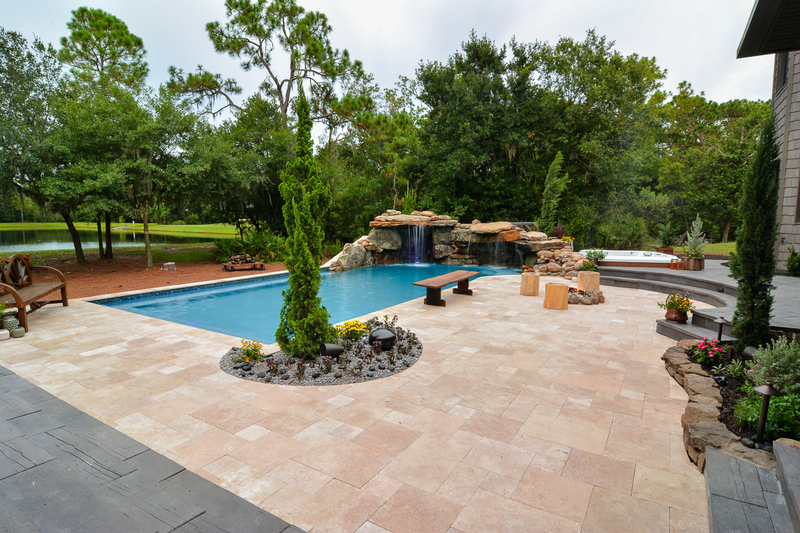 The multi-level deck consists of 800 sq ft of travertine around the pool and firepit on the lower level, stepping up to an additional 800 sq ft of low maintenance wood-look concrete pavers, with a full outdoor kitchen on the upper level. 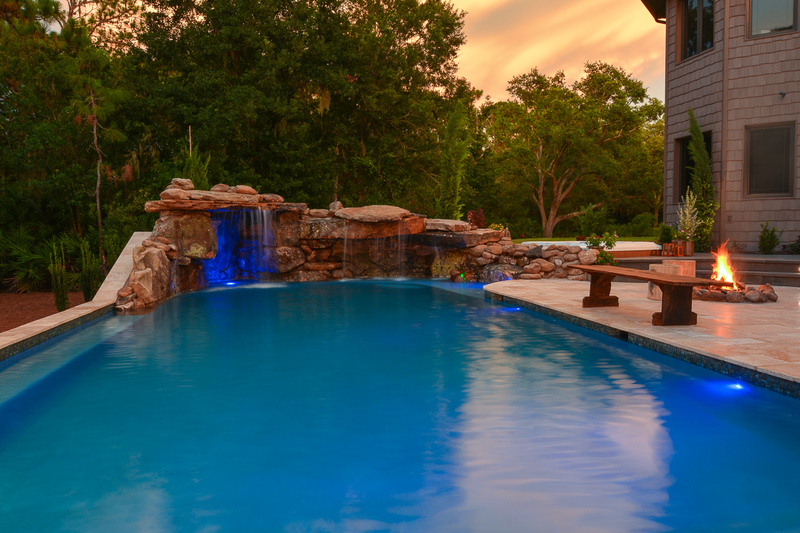 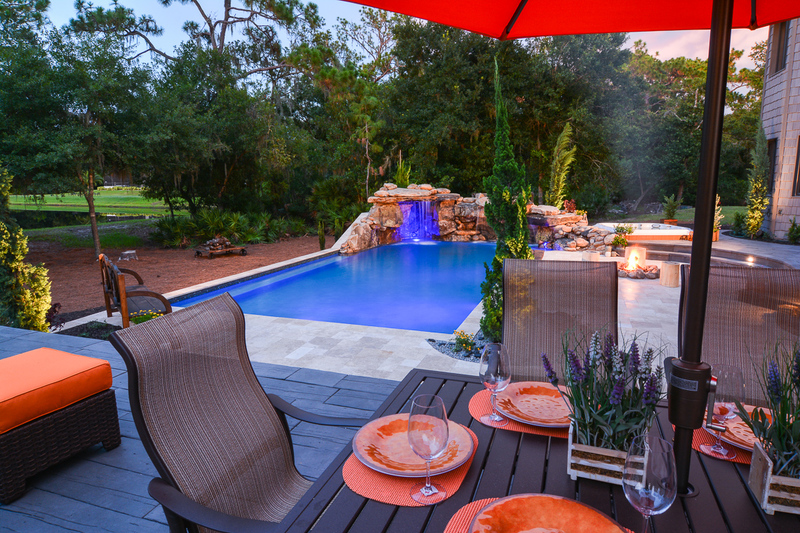 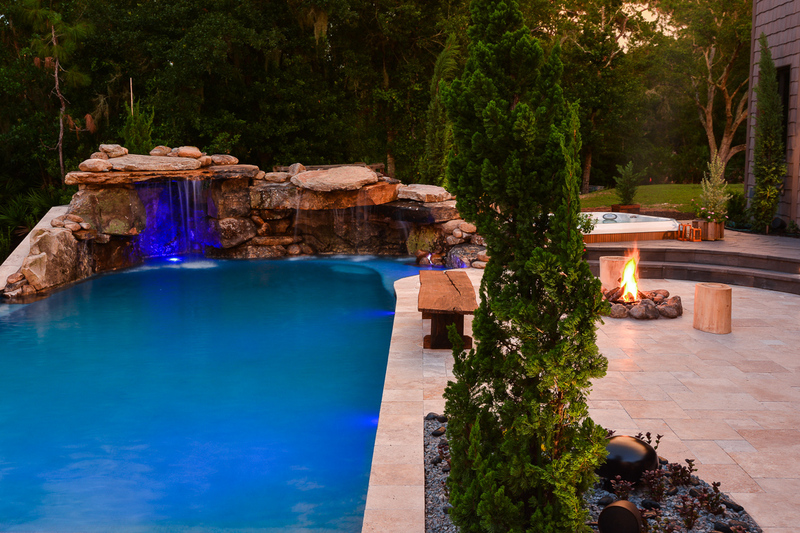 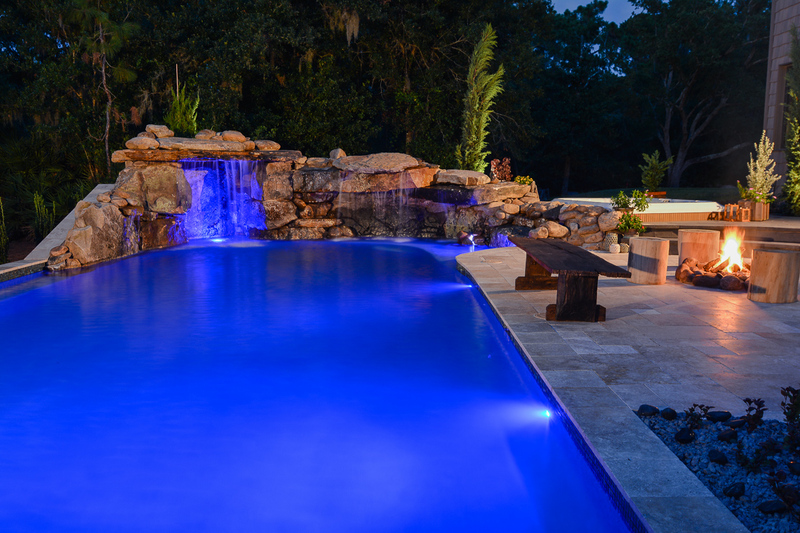 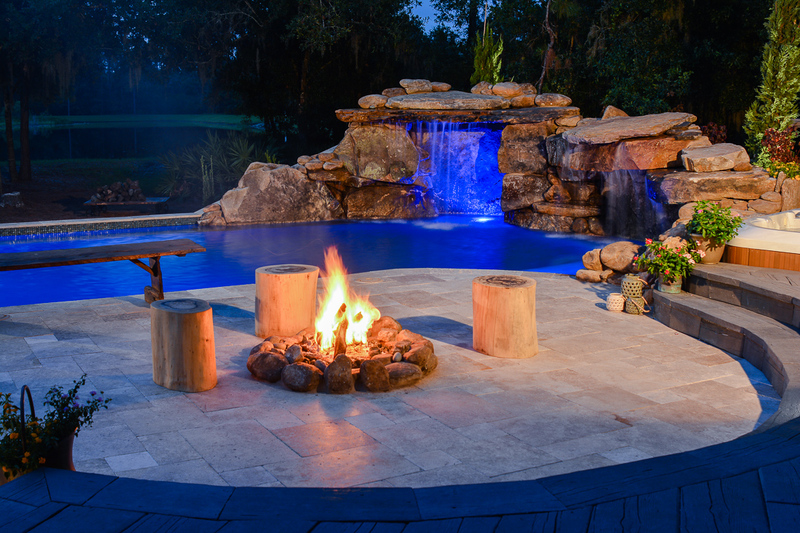 A natural lagoon pool glows with underwater and outdoor lighting along with the warm glow from a pool side fire pit.